BUENOS AIRES, Apr 13 2018 (IPS) - Visionaries imagined it more than 80 years ago, as a way to strengthen the integration between Argentina and Chile. Today it is considered a regional need to boost trade flows between the two oceans. Work on a binational tunnel, a giant engineering project in the Andes, is about to begin. The tunnel will be built at more than 4,000 m above sea level, along the longest border in Latin America and one of the longest in the world. Argentina and Chile share more than 5,000 km of border in the majestic Andes mountain range, which has hindered but never impeded transit of people and merchandise. In colonial times, products were transported by mule from one side of the Andes to the other. By the end of this year or the beginning of next year, the allocation of the contract for the construction of the Agua Negra Pass will be announced. The tunnel will be built along the central area of the border, linking the Argentine province of San Juan with the Chilean region of Coquimbo. The aim is to cut transit time and freight costs. The cost has been set at 1.5 billion dollars and 23 companies from Argentina, Chile, China, France, Spain, Switzerland, and the United States, grouped in 10 consortia, expressed an interest in building the tunnel, and the envelopes were opened in May 2017. During a special meeting in March, the Agua Negra Tunnel Binational Entity (Ebitan), created by the two governments, completed an evaulation of the background presented by the 10 consortia, and the next step will be to announce which ones may take part in the tender. The tunnel will take about 10 years to build, and is presented as the largest road work project in Latin America. “The tunnel will be key to easier traffic to and from the Pacific Ocean, which will give us access to the Asian market,” Maximiliano Mauvecin, a businessman based in Córdoba, the second largest city in Argentina, in the centre of the country, told IPS. “For that reason, when the project seemed to be failing in 2014, we organised the Central Bi-oceanic Corridor Network, with members of the business community not only from Chile and Argentina, but also from Brazil, Uruguay and Paraguay,” explained Mauvecin, director of the Forum of Business Entities of the Central Region of Argentina. Argentina and Chile have 26 border crossings, but most lack adequate infrastructure for truck traffic and are closed for long stretches of the year because of weather conditions, as is the case of Agua Negra. The Agua Negra tunnel project has had advances and setbacks. Momentum seemed to surge in August 2009, during a summit of the Union of South American Nations (UNASUR), founded in 2004 as a regional forum for coordinating actions towards integrated development among the 12 countries of the region, which are home to a combined total of more than 400 million people. On that occasion an understanding was reached to build the tunnel, signed by the then presidents of Argentina and Chile, Cristina Fernández (2007-2015) and Michelle Bachelet (2006-2010 and 2014- March 2018). It was also signed by the then president of Brazil, Luiz Inácio Lula da Silva (2003-2011), whose participation clearly reflected that it was a “regional integration project”, as the signatory governments described it. The following year, the details of the initiative were formally shared at a summit of the Southern Common Market (Mercosur) with the then presidents of Uruguay, José Mujica (2010-2015), and of Paraguay, Fernando Lugo (2008-2012), which along with Argentina and Brazil make up the bloc, of which Chile is an associate. The binational tunnel will be a key part of the Porto Alegre-Coquimbo Central Bi-oceanic Corridor, between the Brazilian city of Porto Alegre in the state of Rio Grande do Sul, and the Chilean port of Coquimbo, along more than 2,700 km of roads that are mainly paved already. The Corridor crosses different provinces of central Argentina and can also be used by companies from other countries of the Atlantic Ocean basin keen on access to the Pacific Ocean. In Chile there is so much anticipation for the arrival of goods to get into the Asian market, that at the beginning of this year a project was presented to upgrade and modernise the port of Coquimbo, to enable it to serve bigger ships, with an expected investment of 120 million dollars. However, wine growers in the Elqui Valley, formerly known as the Coquimbo Valley, which is along the route after the Agua Negra Pass, have expressed concern about the increase in truck traffic that the tunnel will bring. “There were always communication routes in the transverse valleys of the Andes mountain range. In the 19th century, cattle began to be brought in from San Juan and provinces of northern Argentina to Chile. And in 1932 or 1933, the government of Coquimbo asked an engineer to study the possibility of building a tunnel,” Chilean researcher Rodrigo Iribarren told IPS. “Although it has a long history, it was not until the 1960s that it was opened as an international pass for vehicles,” added Iribarren, author of the book “Agua Negra; History of a Road” and head of the history museum of La Serena, the capital of Coquimbo, located on the Pacific coast about 470 km north of Santiago. The pass was closed in 1978, when the dictators of Argentina, Jorge Videla (1976-1981), and Chile, Augusto Pinochet (1973-1990), brought to a point of extreme tension a border conflict at the southern tip of the continent and were about to lead the two countries to war. Although it was reopened in the 1990s, after the two countries had returned to democracy, it is not suitable for trucks and is closed much of the year, because traffic is blocked due to snow. After the agreement between Fernandez, Bachelet and Lula, Ebitan was formed in 2010, and in 2013 23 companies expressed an interest in building the tunnel. The funding problem was solved in April 2016, when the Inter-American Development Bank (IDB) announced to the two governments that it would finance the project. In October 2017, the regional credit agency approved an initial disbursement of 130 million dollars to Chile and 150 million to Argentina, within a credit line expandable to 1.5 billion dollars as the work progresses. “The objective is to reduce, through the construction of this infrastructure, the transaction costs at the borders, to increase the competitiveness of the countries involved and promote the economic development of the region,” said José Luis Lupo, manager of the IDB’s department of Southern Cone countries. According to Ebitan, the tunnel will shorten the border crossing by 40 km and three hours. It will also make it possible to keep the pass open year-round. 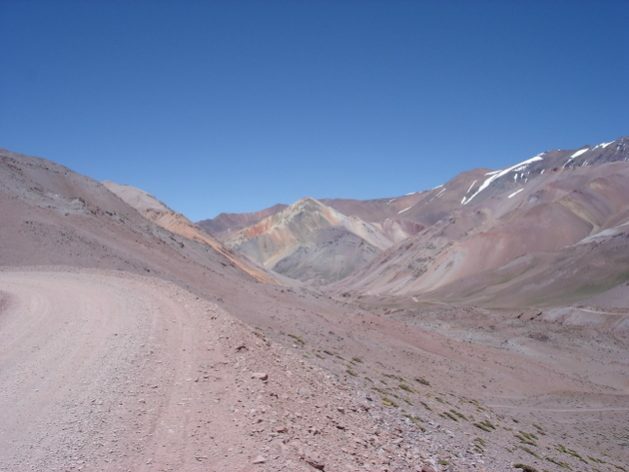 The road climbs today to 4,780 m, but the tunnel will begin at 4,085 m above sea level on the Argentine side and will descend to 3,620 m on the Chilean side. There will be two completely separate passages, for the sake of safety, one running in each direction, with two 7.5-m wide lanes each. Of the 13.9 km tunnel, 72 percent will be in Argentina. It’s all talk and nothing more. It’s been talked about for decades and nothing will come of it except more talk. The cost and enormity of the effort required is greater than any perceived value and well beyond the capacity of the two countries’ combined.